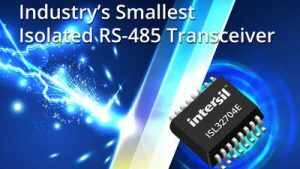 Intersil Corporation a leading provider of innovative power management and precision analog solutions, on February 13, 2017, announced the industry’s smallest isolated RS-485 differential bus transceiver designed to provide 4Mbps bidirectional data transmission for Industrial Internet of Things (IIoT) networks. The high-speed ISL32704E delivers industry-leading electromagnetic interference (EMI) and common-mode transient immunity (CMTI) in a small 4mm x 5mm QSOP package that is 70% smaller than competitive devices. 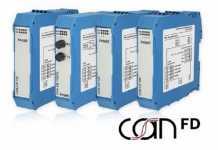 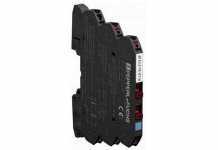 It also provides 600VRMS of working voltage, which is approximately 50% higher than the closest competitor.